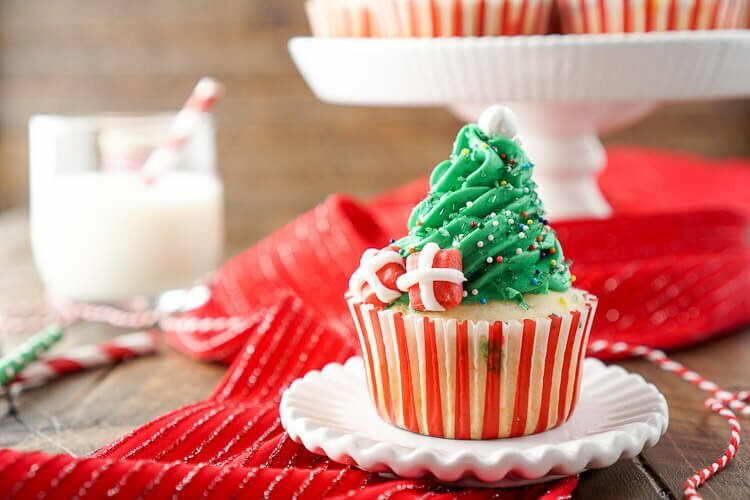 These Christmas Tree Cupcakes are easier than they look and are such a fun and festive dessert for holiday parties! GUYS!!! Seriously, How fun are these cupcakes! You’re probably thinking they take forever to make and a bunch of special tools that you don’t have… totally wrong! They’re so easy and the recipe is actually made with a Pillsbury™ box mix and frosting I picked up at Stop&Shop. There’s no need to put ourselves out on every recipe this holiday season. 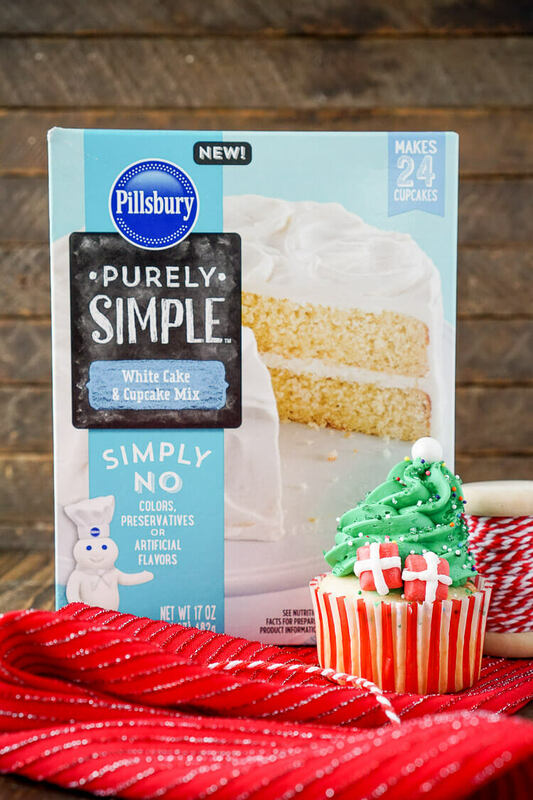 Yes, some recipes are more than worth the extra effort and time, but when it comes to cake and cupcake mixes, Pillsbury™ got it right! 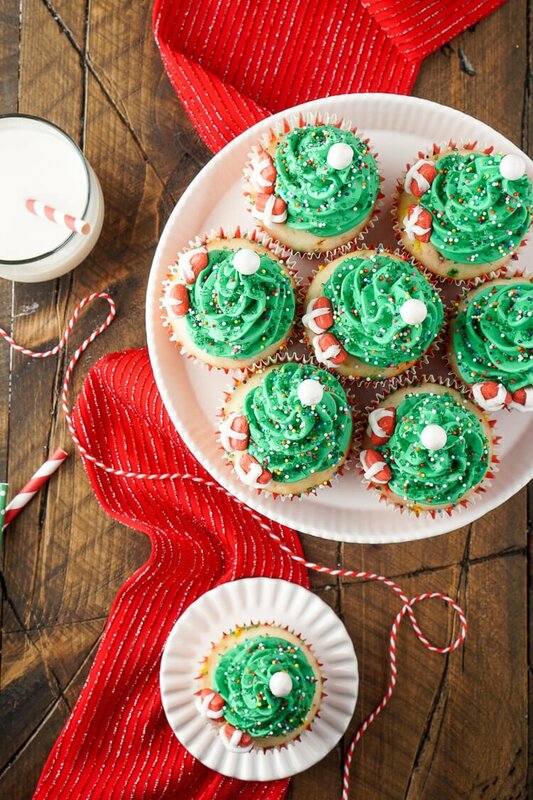 Plus, green frosting without getting your hands covered in food coloring, now that’s what I call a holiday win! 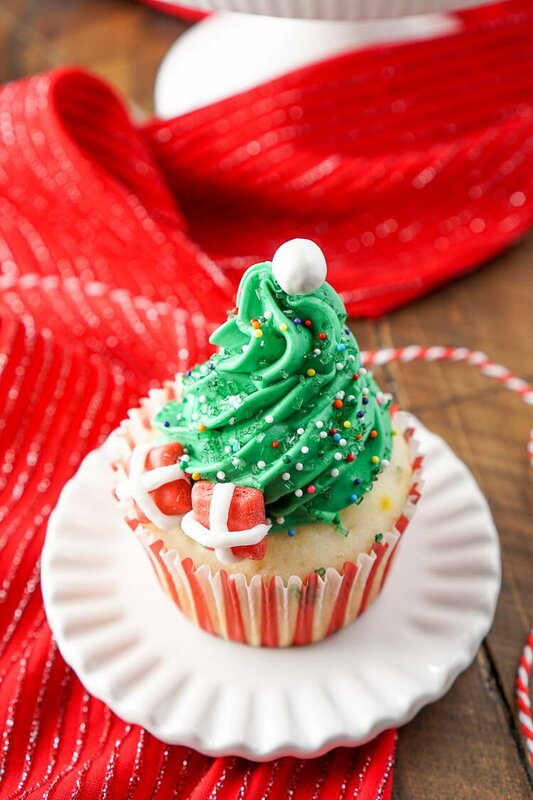 There’s nothing quite like a light and fluffy cupcake piled high with frosting. But it’s even better when it’s super cute. I love making cute desserts and decorating with sprinkles relaxes me. Matt sometimes jokes about how long it takes me to frost and decorate a cupcake, but I just like to take me time and get in the zone, you know? We all love cute things, and around the holidays, cute = impressive, and we want to impress those holiday guests, right? But here’s the thing, don’t go overboard. I highly recommend doing a couple things that “look” or maybe even are over the top, but keep the rest simple. Your guests won’t mind and you won’t have holiday burnout by December 10th! 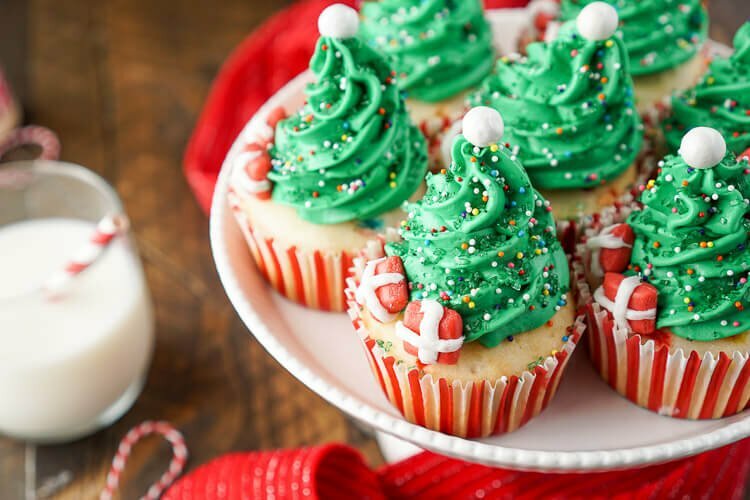 These cupcakes took less than an hour to make and you can make them up way ahead of time so you’re not trying to vacuum up runaway nonpareils as guests are walking up the front steps. I’m speaking from experience here! I really loved how these cupcakes turned out! The cupcakes themselves are so moist and fluffy thanks to the pudding Pillsbury™ includes in their mix! 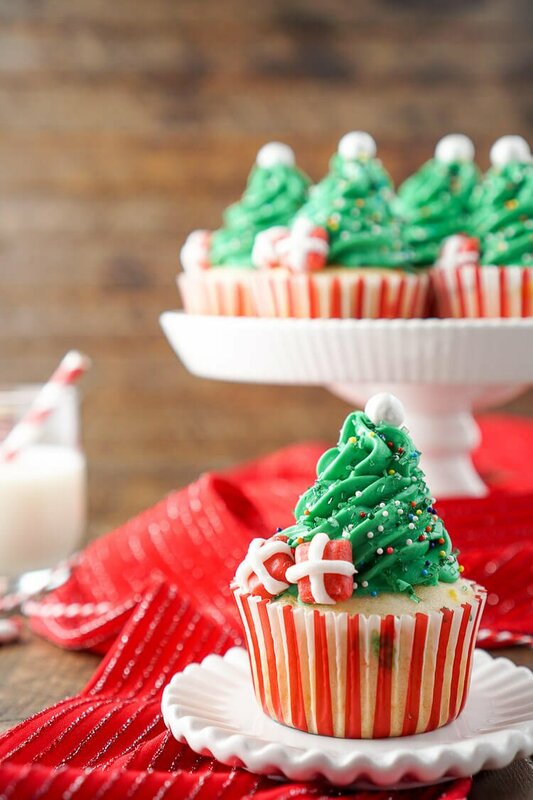 The frosting is sweet and rich with vanilla flavor and aren’t those presents just the cutest! The sprinkles and nonpareils just bring them to life as the needles and lights on the tree. 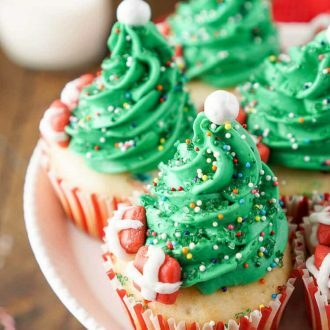 I found so much inspiration at dessertdebate.com for the holiday season! Visit www.pillsburybaking.com for more information, tips, and recipes. Like Pillsbury™ on Facebook, or follow them on Pinterest and Instagram. Beat together cake mix, butter, milk, eggs, and sprinkles until fully combined. Fill cupcake liners halfway with batter and bake for 19-22 minutes. Remove from oven and transfer cupcakes to a cooling rack to cool completely, bake next batch. 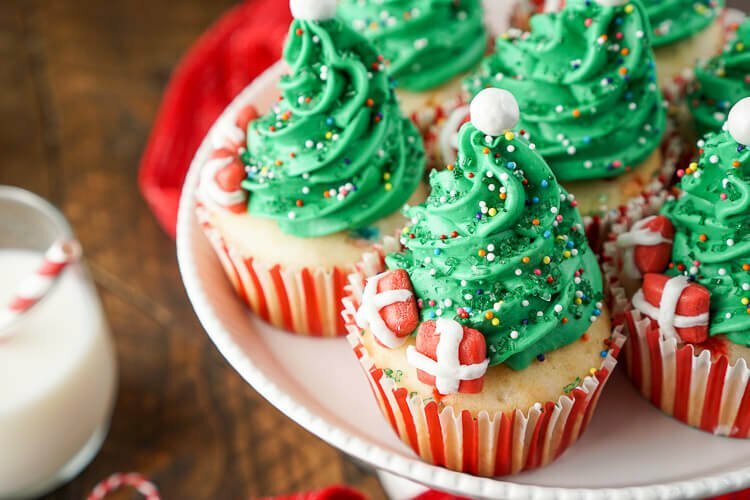 Once cupcakes have all cooled, add green frosting to a frosting bag fitted with a large star tip. Pipe onto cupcakes starting in the middle and working around the starting point once and then begin working up to create your tree. Sprinkle with green sprinkles and nonpareils. 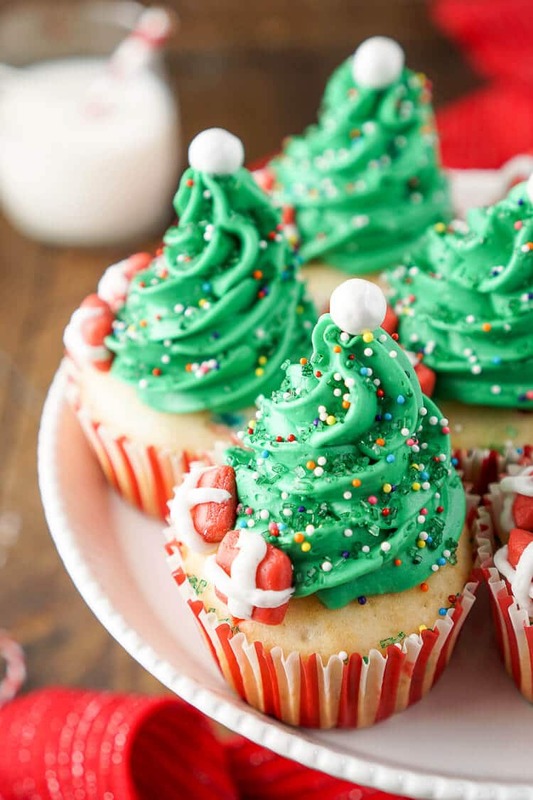 Top frosted cupcakes with a Sixlet. 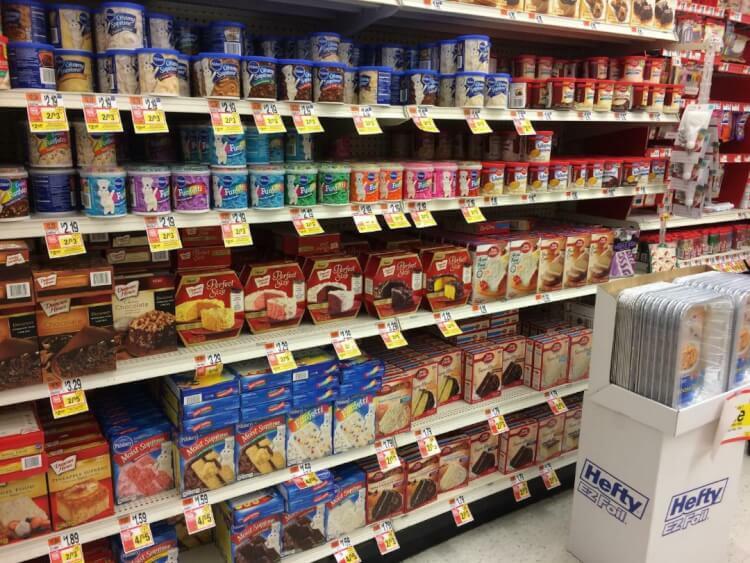 Add vanilla frosting to a frosting bag fitted with a small round writing <g class="gr_ gr_93 gr-alert gr_gramm gr_disable_anim_appear undefined Grammar only-ins doubleReplace replaceWithoutSep" id="93" data-gr-id="93">tip</g>. Draw on ribbon lines on the starburst and gently press onto the frosted cupcakes.